Susun: Red clover. Everything you hoped soy would be with none of soy’s problems. And we’ll get back to that. 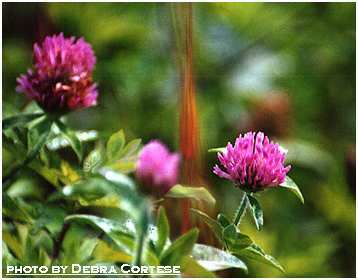 Red clover has ten times more phytoestrogens than soy in a much safer formulation. It’s the world’s leading anti-cancer and cancer-preventing herb. Do watch however if you’re in menopause because it’s also a fertility promoter, and if you don’t wanna have a surprise baby be a little careful with the red clover, and especially be careful with Oatstraw. Justine: Is that another one? Your third one? Susun: That’s another one. 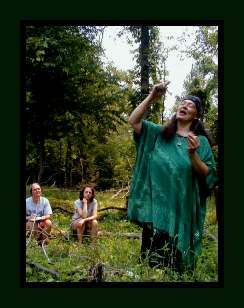 And I also talk about Oatstraw in Healing Wise the 2nd Wise Woman Herbal. I also call it my big green book for everybody. And we know that people who are feeling their oats, so you can imagine what happens if you have Oatstraw one day, feel your oats, and then Red Clover the next day, you increase your fertility. 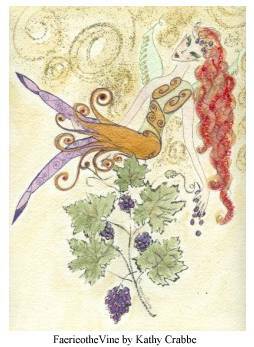 Susun: But I did add a chapter to New Menopausal Years on fertility after 40 and those are certainly some herbs you could use. And then the last one is an herb that I have used very consistently for more than a quarter of a century, and that’s Comfrey Leaf. 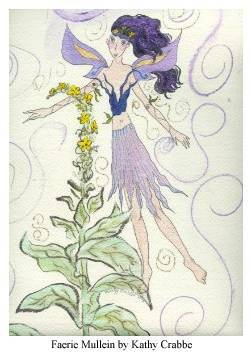 And you may be surprised by that because if you’ve heard anything at all about herbs in the past couple of years you may have heard some warnings about Comfrey. What my studies show me is that those warnings are true about comfrey root and I don’t use the root of the Comfrey. But the leaf, so far as I can tell is absolutely benign. As a matter of fact there was a man named Henry Doubleday who worked very hard all of his life to create courses of Comfrey that would be completely safe to eat. And he set up a Henry Doubleday Research Center in England where there’s a group of people there who have been eating Comfrey as a cooked green for three generations now, through pregnancies, lactations and no harm to anyone. Justine: This is just the leaf. Not the root? Susun: Just the leaf. Not the root. Exactly. Comfrey contains the mineral acids that are especially helpful in creating short-term memory cells. So I say to people, “Remember Comfrey”. Susun: Right? It’s also called “knitbones”. It’s a tremendous ally for keeping the bones flexible and strong. And it lubricates all the mucus surfaces, and especially for women, as we go through menopause and get older, we sometimes find everything from our eyes to you know what, getting a little bit drier. So Comfrey is a wonderful lubricant. We just drink it orally and it lubricates from the inside to all of those places. Justine: So this is what you would recommend for vaginal dryness, in menopause and post-menopause. Susun: It’s certainly one of the things that could be used. Yeah. But again, that’s kind of a whole other discussion as to what’s happening there with that. Justine: People will have to go to your website and pick up your books with all of that. Susun: Exactly because as we said you know, your relationship to your sexuality changed between the ages of 8 and 15, and thus your relationship to your sexuality is also going to change between the ages of 45 and 55, shall we say. Justine: That’s right. That’s right. 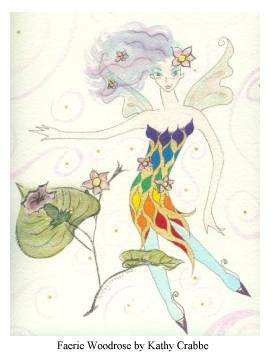 We’re talking with Susun Weed who is the author of New Menopausal Years the Wise Woman Way – Alternative Approaches for Women 30 to 90. My name is Justine Toms. You’re listening to New Dimensions. Justine: We’re talking with Susun Weed, author of Breast Cancer? Breast Health! The Wise Woman Way. 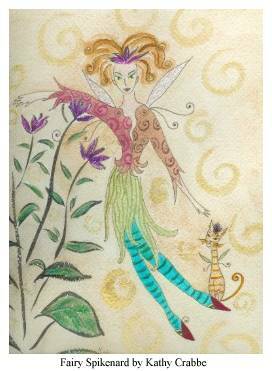 And also the New Menopausal Years the Wise Woman Way – Alternative Approaches for Women 30 to 90. So I would like to ask you Susun about the Six Steps of Healing. This is something that you outline in many of your books, and so tell us what’s the first one. Susun: OK, well we talked about confusion. The confusion that comes about from all the many choices that we have. And I talked about one of the first things I did was to say, well we can see the Scientific Tradition, the Heroic Tradition, and the Wise Woman Tradition, and within the Wise Woman Tradition there aren’t any rules. And somebody said, “Well if there aren’t any rules why don’t we just go out and have you know, a cocaine hot fudge vodka sundae?” And I said, “Well because if you listen to you body you’d only do that once. You’d never do it again.” But I thought that really it was a good question and was there some way that I could give a better answer. And as I thought about it, I asked myself is there any healing rule that everyone all over the world would agree to, and I couldn’t come up with anything better than first do no harm. That seems to be a healing rule that we could all agree with. And so then I simply took every approach, every technique, every substance and I said, “How much harm does it do?” And I gathered them together into the Six Steps of Healing. And so the first step of healing, which is actually Step Zero, Do Nothing, causes no harm. Now, somebody has said, “Well if you’re ignoring what’s going that could cause harm” but in Do Nothing we are not talking about the absence of something, but we are talking about the presence of nothing. So we might say Vipassana Meditation is literally a meditation on nothingness, and hard to do isn’t it? Susun: The mind is so full of so many things that to truly find the nothing is really a big deal. And this has a huge following. Really up until the advent of very scientific medicine, we would send people off on rest cures. Justine: That’s right. All those spas, wonderful spas all over Europe and here in the United States. Susun: Yeah. What would happen if you didn’t check your email for a whole day? That’s doing nothing. What would happen if you slept that extra half hour that you’ve been wanting to sleep? What would happen -- well the apprentices get one day out of their apprenticeship in which they are not allowed to have any time pieces. We take all the clocks away, so they can’t relate to time on the dial. They have to relate to nature as their timing device. They also have a day of complete silence where no-one speaks. So these are active ways of doing nothing which really allows us to relieve many of the pressures of our lives and in a way to fall into health. Some people have quipped, “Well Step Zero, that’s just giving up isn’t it?” And yet sometimes giving up is exactly what we need in order to solve our problem. Justine: Sounds good to me, Susun. Susun: Right. We think about the people who desperately want to have a child, give it up, adopt, and the next thing you know they’re pregnant. Susun: So I call it creative giving up. Susun: So in Step Zero, it’s not that we are ignoring what’s going on, but we are actively bringing nothingness to us. The next step, Step 1, is to Collect Information, but not just collect information. Also gather wisdom, because information can be so very linear and I’m sure that we’ve all engaged in this process where should I do A or should I do B? Well A has this going for it and you list 10 things, and B has this going for it and you list two things and you say, I think I’ll do B. Well how come? You know it only has two things going for it. Because there are things that are happening in B that you can’t even list, but you sense them and you know them and you feel them. And that’s what I mean by really gathering wisdom as well as collecting information. And in collecting information I’d like to, first of all, I suggest to people that they get their health care information from sources that have little or no advertising. The study that I told you about in the women in Australia who were twice as likely to break a bone if they took calcium supplements, was not publishable anywhere in the United States because there was no magazine that didn’t get a good revenue from calcium supplements and didn’t want to publish the study. It wound up being published in a very small newsletter in Canada along with an editorial about why they were the only place that would publish this particular study. Justine: Yes, yes. People need to be aware of that. Justine: So if it could be put in a pill form it would be you know, the miracle drug of the ages. Susun: That’s right. But he has such a hard time convincing people because Step 2 Engage the Energy is the shaman’s playground, and scientific medicine tends to really disregard that kind of playing around, that kind of praying around, that kind of working with color, working with sound, Reiki, hands on, all the many different aspects that it has. Justine: You know, singing in the shower. Susun: Yes. Music therapy. Art therapy. All of those things that really engage our wholeness and help us see what’s going on in a very different way. Step 3 then is Nourish and Tonify. And of course we have our whole foods diet and -- somebody called me up with New Menopausal Years. She said, “There’s a typo in your book”. I said, “Oh, we worked so hard not to have typos but tell me where it is. We’ll correct it”. She said, “Right here on this page it says, ‘Eat foods without ingredients’.” I said, “Where’s the typo?” She said, “Well you didn’t mean ingredients did you?” I said, “Yeah. 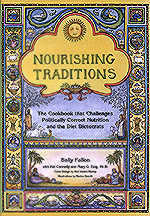 That’s exactly what I mean.” Eat foods without ingredients. That’s how you can tell if it’s a whole food. So what’s food? Justine: Now you better help me on that one too. Susun: Yeah. What’s food, margarine or butter? Justine: Well food is butter. Susun: Butter. Not margarine. Right. What’s food, milk or soy beverage? Justine: Well now that confuses me. Justine: I would’ve said both. Susun: Soy beverage contains first of all calcium carbonate as a supplement because soy contains no calcium. It also contains more sugar than a Coca Cola. Justine: Just without it being sweetened? Susun: No it’s sweetened. It’s all sweetened. Justine: It is sweetened? It’s all sweetened. Susun: See you wouldn’t drink it if it wasn’t sweetened. It tastes very vile. Justine: I see. I see. Susun: And my Japanese correspondence course students, I asked them about it. They have no idea what soy beverage even is. Justine: Right. But they do soy? Susun: 90% of the soy, even in Japan, is eaten in the form of miso and tamari. What’s that mean for you in your life? It means for every pound of tofu you eat you should be eating nine pounds of miso. That’s a preliminary study. I’m certainly not saying that it’s even a good study. But in a 30-year study just completed of Japanese men, a Japanese man who ate tofu more than once a week doubled his risk of Alzheimer’s. Justine: Oh. And women too? Susun: They only studied men. It was a study just on men, so we really don’t know. But we certainly know that if you start eating unfermented soy products as a child right, so that at the age of 1 -- suppose you start eating tofu at the age of 1 and continue eating it through puberty, your breast cells are then made with a natural resistance to cancer. If however, you start eating these unfermented soy products such as tofu and soy beverage, after the age of puberty, it has the opposite effect and it promotes breast cancer. Justine: And there are studies out about this? Susun: Plenty of studies out about it. I didn’t bring my study book in with me. Justine: Is this on your website? Justine: Do you go into it? Justine: OK. And for those people it’s susunweed.com. Weed, W-E-E-D.
Susun: Right. And it was one of the reasons that I revised Menopausal Years you know. My Menopausal Years the Wise Woman Way was actually published 11 years ago, and in the intervening 10 years there was so much new information that came out that I totally revised the book. Added another hundred pages to it. Audio tape , 1 hr. 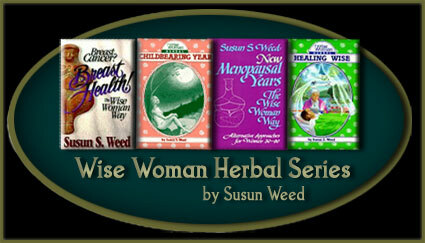 Today, Susun Weed is one of America's foremost authorities on herbal medicine and natural approaches to women's health. Susun engages in a fascinating, candid and controversial dialogue about women's health, natural healing and the "wise woman" tradition. Susun exposes the illusion about menopause and hormones, addresses the HRT/cancer connection and shares information about bone density. 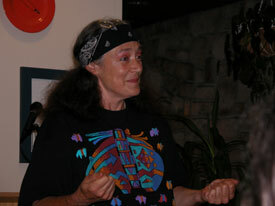 She reveals her knowledge about powerful anti-cancer herbs, and how to prepare herbal infusions with reverence. (Interview hosted by Justine Toms). Topics explored in this dialogue include: seeing yourself as a hologram keeps you healthy; herbal infusions, how they fully nourish your body; and, the six steps to personal healing.